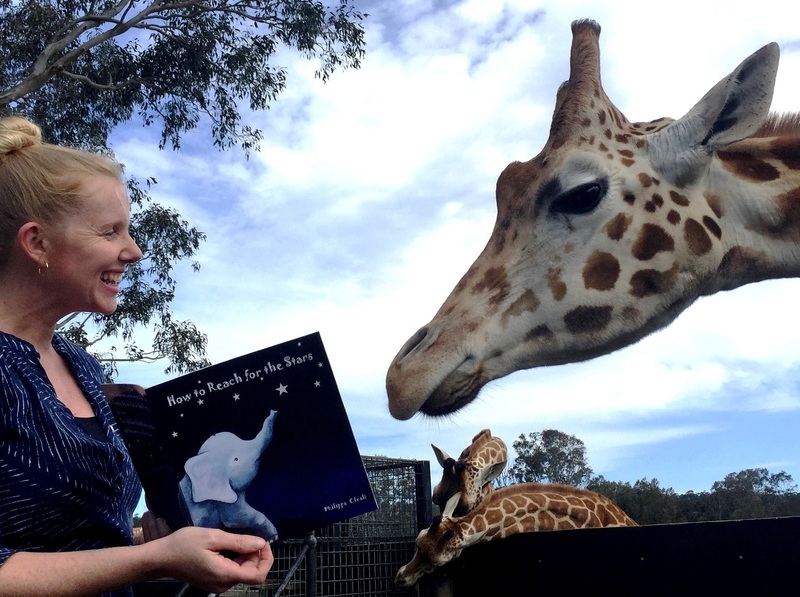 A new picture book by Kiama teacher Philippa Cleall has been created for readers in Australia and East Africa, as a result of her long standing connection with a school in Tanzania. Aimed at pre-school to lower primary age readers, How to Reach for the Stars, is written in English and Swahili. It features Little Tembo, a young elephant who is encouraged by her Grandma Bibi to ‘reach for the stars’. Little Tembo wonders what this really means and goes on a journey of discovery to find out. The language translation of this story was a collaborative project between the author and two Tanzanian primary schools. Philippa first visited Tanzania to work voluntarily 20 years ago. She was inspired to create this cross-cultural picture book after deciding to travel back in January next year with her 18 year old daughter Abeni and two Jamberoo friends to again volunteer at a local Tanzanian school. She didn’t want to go back empty handed, so came up with the idea of creating a cross-cultural book. “Students in third world countries that speak English as a second language do not have many picture book resources to help them with language learning. The book will be available from local bookstores from 20 October.